I received a call in late summer of this year from Bill Kendrick. He and I were in a networking group years ago and he remembered that I did marketing. On the call he mentioned that he was helping a local business get acquired and there would be a need for a short term communication strategy to notify people of the name change and he wanted to know if I had interest in submitting a proposal for consideration. Of course, I want to pitch my services, my team’s experience and our results to you and room full of other people — this is what I do. After a few meetings, we were called and told we were awarded the contract. This engagement started immediately. We were able to get right in, meet their people and hear their story. Rodney’s father started their garage door business over 30 years ago in Nashville, expanding into Chattanooga 13 years ago. I was really impressed that they have the very first employee they’ve ever hired — in both markets. The people are genuine and it was really awesome shooting this video in a few hours because it wasn’t scripted. It was a conversation. It’s a great thing when you have a client that understands their direction and wants you and your team to help them get there. Today, Rodney and his Dad made the decision to expand their offerings to their clients and align with a larger brand that allows them to bring their customers, more. 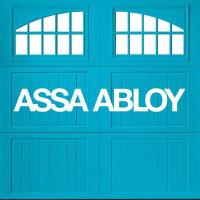 This larger brand is a nationally recognized multi-billion dollar publicly traded company, called ASSA ABLOY. The specific division that acquire Rodney’s company is ASSA ABLOY Entrance Systems. They do all things doors; commercial, residential, everything and they’re just entering North America. The exciting part is that this short term communication contract has grown into a full client engagement, longer term planning, media, measurement, promotion, sponsorships, endorsements, digital, video and content marketing. It’s a great thing when you have a client that understands their direction and wants you and your team to help them get there.